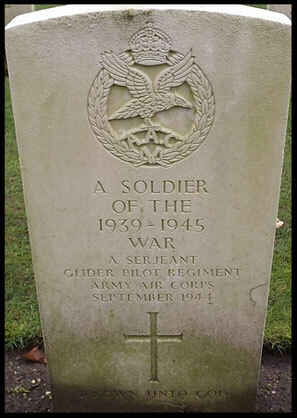 The Glider Pilot Regiment went into to battle with 1262 men, 229 were killed, 47 of them are missing since. 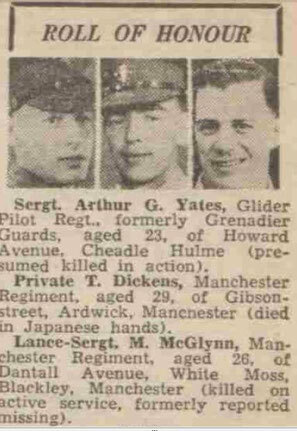 KIA Information: Known to have been killed when the Hamilcar (318) glider he was in overturned on landing, fatally wounded his co-pilot S/Sgt D.A. White. 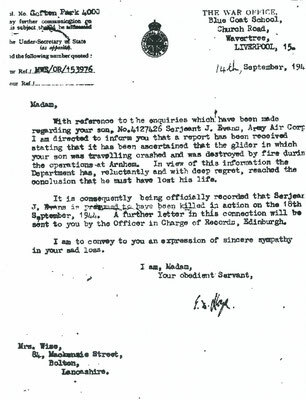 The body of Sergeant Winkworth could not be removed, and most likely was burned when the Germans set fire to the gliders after capturing the landing en droppingzones. 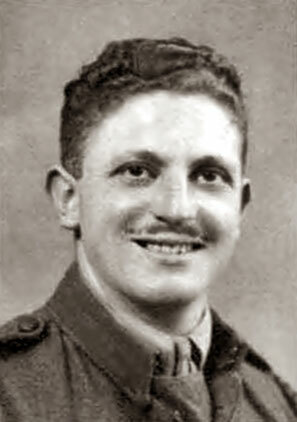 Next of Kin: Son of lionel and Maud Bashforth, of Holylandswaine, Yorkshire. 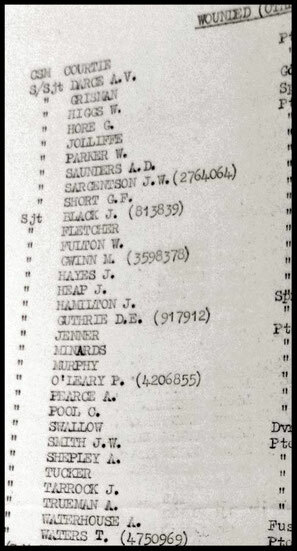 KIA Information: Known to have been killed on or shortly after landing. 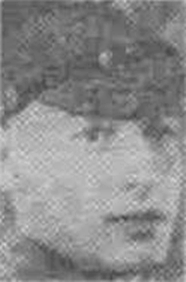 Next of Kin: Son of Sarah Irene Wise, of Astley Bridge,Bolton,Lancashire. 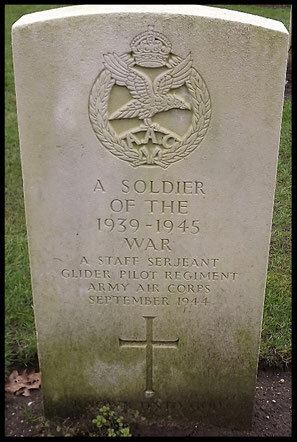 KIA Information: Known to have been killed when his glider crashed on landing and was destroyed by fire. 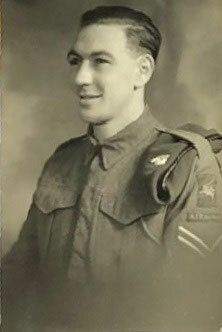 Next of Kin: Son of Emile William and Kate Palmer, of Hextable, Swanley, Kent. Next of Kin: Son of William Cadwaladr and Morfydd Williams, of Wrexham, Denbigshire. 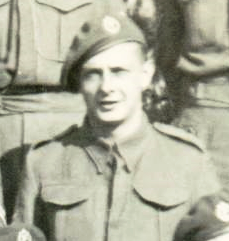 KIA Information: Last seen on 19-09-1944, at the Hulkensteinseweg area, Oosterbeek. 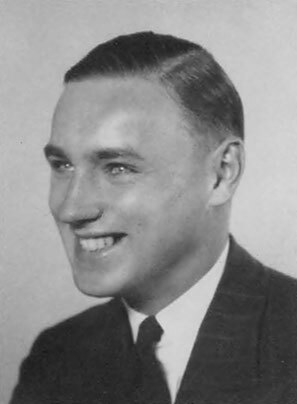 Next of Kin: Son of Arthur William and Alice Johnson. 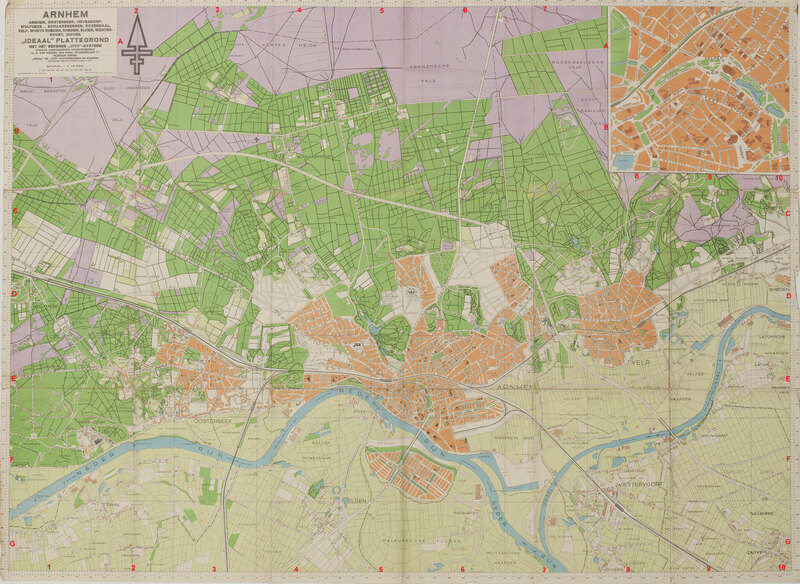 KIA Information: Last seen in the area later known as "the Dell" in the gorunds of the Municipal Museum at Arnhem. 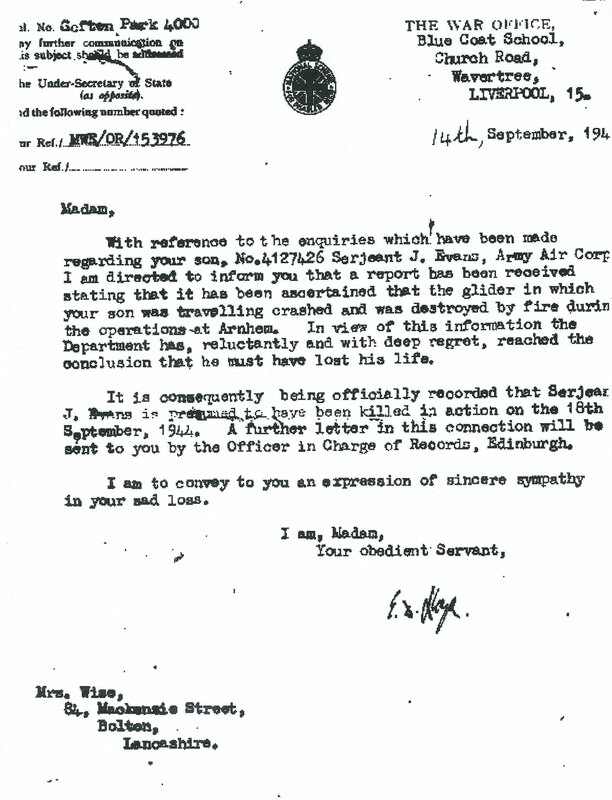 Next of Kin: Son of Joseph and Mary C Wright, of Townhead, Glasgow. 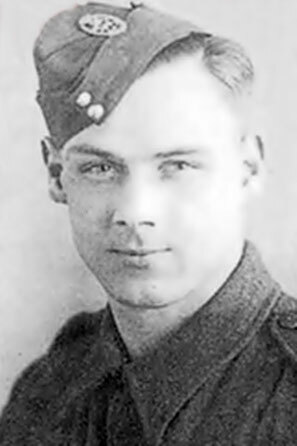 KIA Information: Was killed by shrapnel at 11.00hrs, His body was not buried and left about 50 yards west of the Old Church at Oosterbeek. 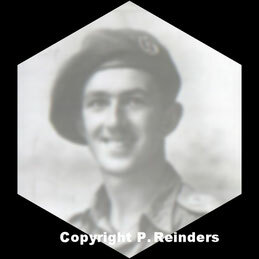 KIA Information: Known to have been killed in a trench on the Sonnenberg estate ,by a mortar bomb. Believed to be buried as the unkown soldier in grave 18.A.20 on Arnhem-Oosterbeek War Cemetery. 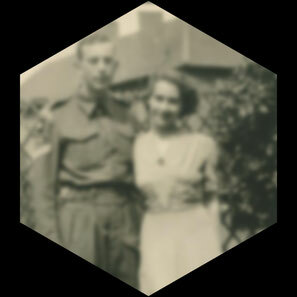 Next of Kin: Son of John George and Ethel Minnie Whyborn, of Erdington, Birmingham. Next of Kin: Son of Thomas William and Elizabeth Ellen Sharrock , of Westhoughton, Lancashire. 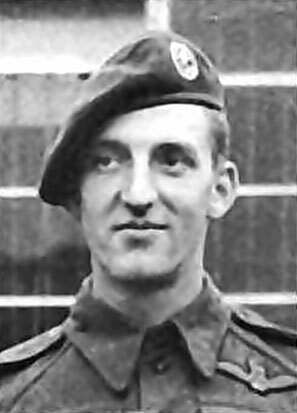 Known to have been wounded on 22nd, there is a list of wounded men which shows a Sergeant J Tarrock, probably made up in one of the Aid Posts in Oosterbeek, which could have been a mix up with J. Sharrock. 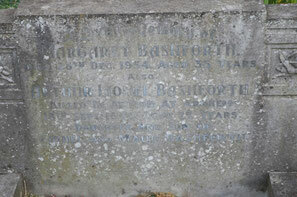 Next of Kin: Son of William Burdett and Minnie Margaret Allison, of Surbiton, Surrey. 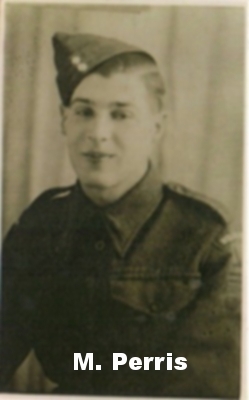 Next of Kin: Son of James Alfred and Maud Bruce, of Harrow, Weald, Middlesex. KIA Information: Known to have been wounded. Next of Kin: Mr and Mrs Jeavons, Cosley. Although after research by CWGC checking dental caards it is said that none of them could be Sergeant Jeavons, although Municipal records said that his body was up at Maurik and was identified. Next of Kin: Husband of Winifred S.E. Tomlinson, of Rainham, Essex. Son of Ernest J and Winifred Tomlinson. 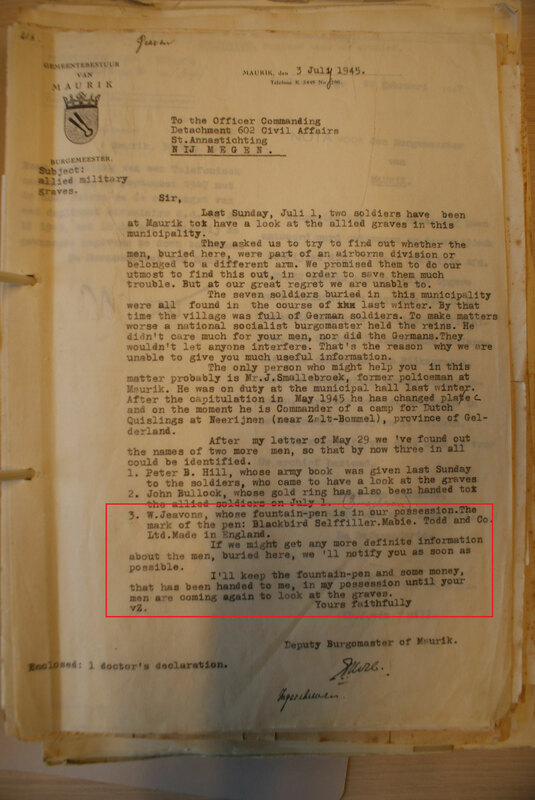 KIA Information: Pinned to the ground during enemy attack. and tanks firing from 20 yards and blasted men and guns out of the slit trenches. He wasn't seen after this attack and probably died in area Kerkpad. Next of Kin: Son of Mr and Mrs R.F. Painter, of West Worthing, Sussex. 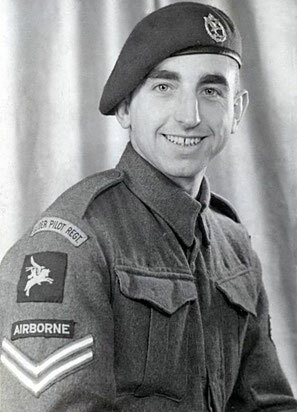 Next of Kin: Son of Majorie White, of Watford, Hertfordshire. 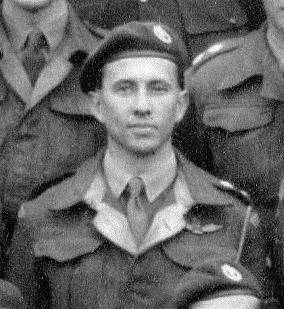 KIA Information: Known to have been killed on landing, one of the pilots of the glider in which Captain Peter Barron of 2nd (Oban) Anti-tank battery flew in with. Next of Kin: Son of Charles and Ada Bralee, of Chesterfield, Derbyshire. 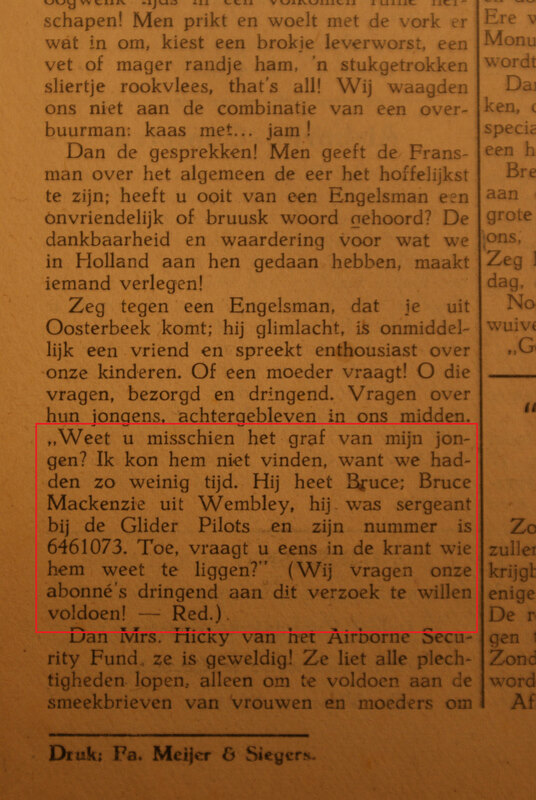 KIA Information: Known to have been wounded on flight to Arnhem, last seen at the RAP at Duitse Kampweg, Wolfheze, presumable taken to Oosterbeek were he died of his wounds. 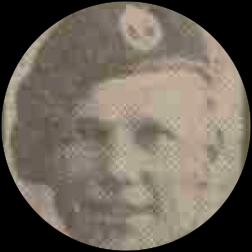 Next of Kin: Son of George and Alice Lyon, of Scarborough, Yorkshire. KIA Information: Believed to have been killed on or shortly after landing. Next of Kin: Husband of Patricia S. Rickwood, of Eltham, London. Son of William and Ada Rickwood. KIA Information: Known to have been killed by a sniper shorlty after landing on landing zone X. 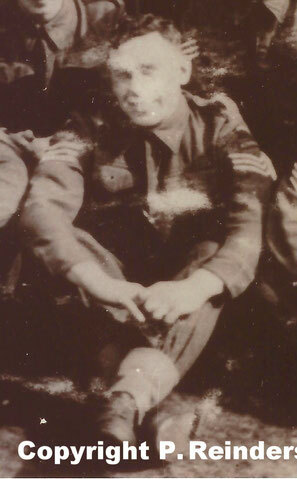 Next of Kin: Son of Donald Livingston and Margaret Livingston, of East Kilbride, Lanarkshire. Next of Kin: Son of Charles Frederick and Clara Yates, of Westbourne, Hampshire. Next of Kin: Son of Mrs E.F. Mackenzie of Wembley, Middlesex. 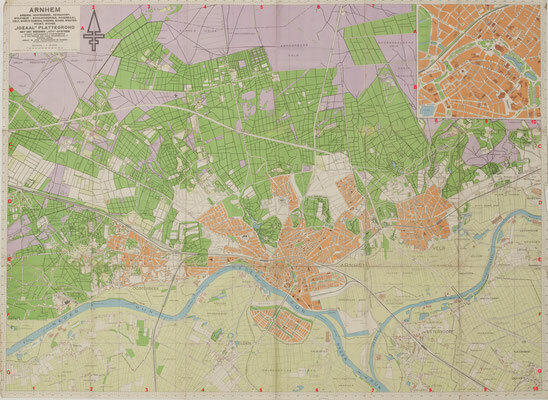 KIA Information: Known to have been killed by a sniper on the grounds of the Dreyeroord Hotel on the west corner of Graaf van Rechterenweg and Van Dedemweg. Next of Kin: Son of Harold and Mary An Dallimore, of Oakham, Staffordshire. KIA Information: Known to have been killed in a defensive postion near Van Borsellenweg. Next of Kin: Son of Gavin and Marion R Forrester, of Edinburgh. 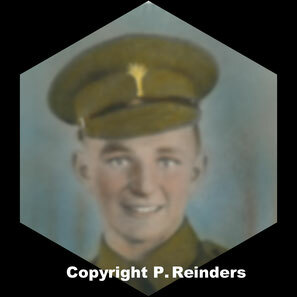 Next of Kin: Son of Arthur Vernon and Mary Ellen Richards, of Ilford, Essex. KIA Information:Last seen between Hartensteinlaan and Nassaulaan. 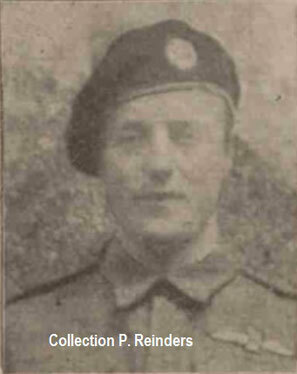 Next of Kin: Son of Daniel and ruth Davies, of Penclawdd, Glamorgan. 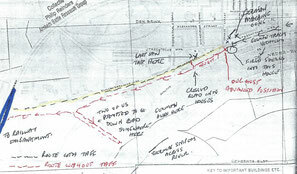 KIA Information:Pinned to the ground during enemy attack. and tanks firing from 20 yards and blasted men and guns out of the slit trenches. He wasn't seen after this attack and believed to have been killed in area Kerkpad. Next of Kin: Son of Archibald and Grace McMillan, of Sanguhar, Dumfriesshire. 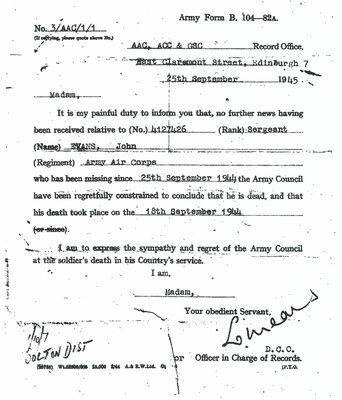 KIA Information:Known to have been killed in the night of the withdrawal. KIA Information: Believed to have been killed in the night of the withdrawal. Next of Kin: Husband of C.M Smith, of Ton-Pentre, Glamorgan. 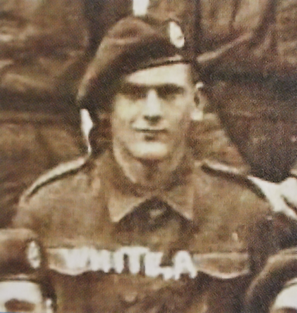 KIA Information: Known to have been killed in A Troop position, 1st A/L Light Regiment. 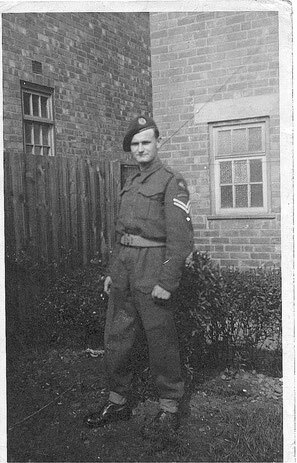 Next of Kin: Husband of Hilda Mary Maxwell Adams, of Hunstanton, Norfolk. Son of Dr Daniel Vere Maxwell and Edith Anne Adams. 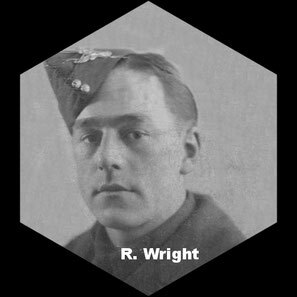 KIA Information: Known to have been killed/drowned when his Horsa glider (457) ditched in the North Sea off the coast of England. 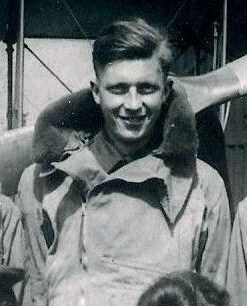 KIA Information: Known to have been killed in his glider who was under fire and went up in flames, his co-pilot Sgt C. Gell was also killed. 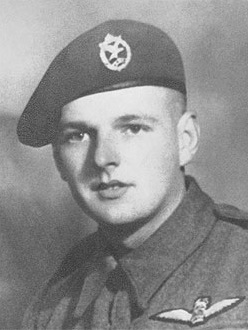 Could be buried in grave 30.B.5 or 29.B.2, on Arnhem-Oosterbeek War Cemetery but as these remains were badly burned it probably would be impossible to idenitify him. Next of Kin: Son of Henry Patrick and Gwenllian Abigail McCarthy, of Ely Cardiff. 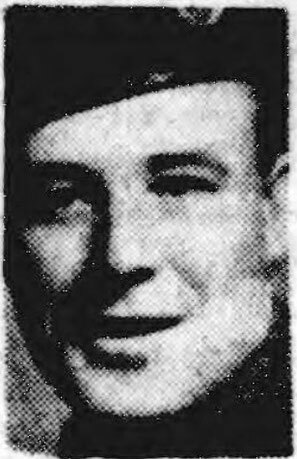 KIA Information: Known to have been wounded by mortar fire on 21-09-1944, and brought to Tafelberg, where he died of his wounds. 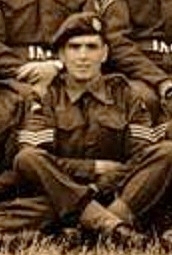 Next of Kin: Son of William and Lillian Green, of Walsall, Staffordshire. 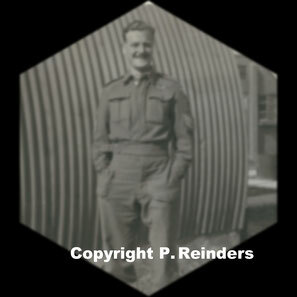 KIA Information: Probably killed whilst unloading his glider on the Johannahoeve/Papendal LZ. 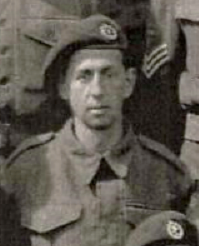 Next of Kin: Husband of Violet May Murphy, of Tidworth, Hampshire. Son of William and Ellen Murphy. 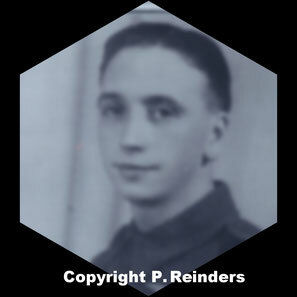 KIA Information: Probably killed by shrapnel on the Johannahoeve/Papendal LZ. 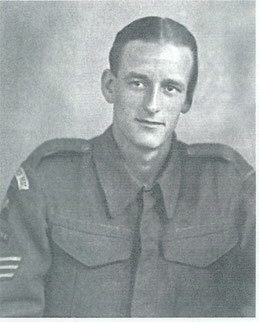 KIA Information: Known to have been killed whilst walking in front of a 75mm gun whilst it fired at E Troop position near the old church after dark on 20-09-1944. Known to have been buried 80 yards west of the church. Said to been found on January 1994 on the Sonnenberg, (now grave 25.C.7) however as this is a total different location this is probably not correct and he is still missing . 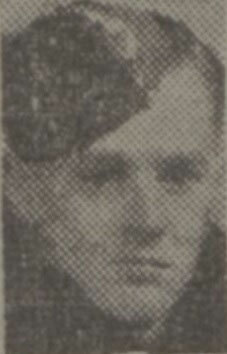 Next of Kin: Husband of Doreen Kerr, of Eccleston, Lancashire. 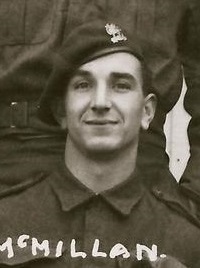 Son of David and Georgina Kerr. KIA Information: Known to have died of his wounds in the RAP at Kate Ter Horst house. 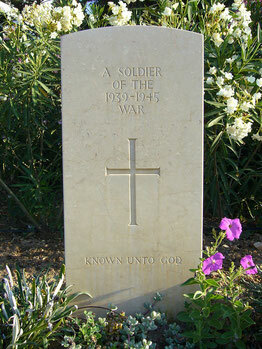 Could he be the unknown Staff-Sergeant buried at Arnhem-Oosterbeek War Cemetery 2.A.14. Next of Kin: Son of James and Doris Naylor, of Orpington. 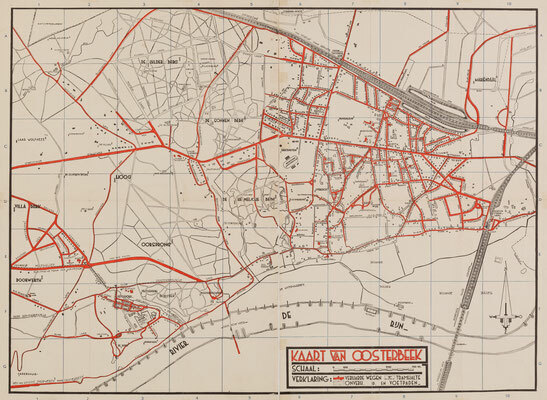 KIA Information: Known to have in a defensive position near Van Borsellenweg. Next of Kin: Husband of Caroline Ann Anderson, of Oxhey, Watford, Hertfordshire. 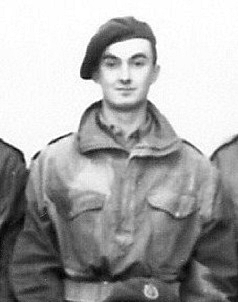 KIA Information: Known to have been killed by enemy shell fire near his trench at the Valkenburglaan area. Also said to believed to have been killed in the kerkpad area. 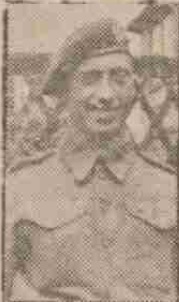 Next of Kin: Son of H.C. and Getrude A. Harris, of Hall Green, Birmingham. 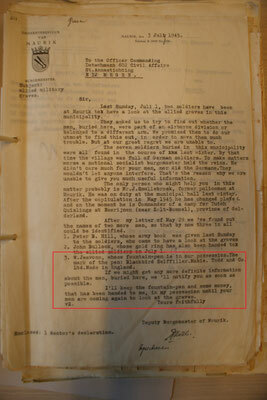 KIA Information: Pinned to the ground during enemy attack. and tanks firing from 20 yards and blasted men and guns out of the slit trenches. He wasn't seen after this attack and believed to have been killed in area Kerkpad. Next of Kin: Son of Joseph Ernest and Dorothy Woods, of Southampton. KIA Information: Known to have been killed during a tank attack in the area Benedendorpsweg/Kneppelhoutweg. 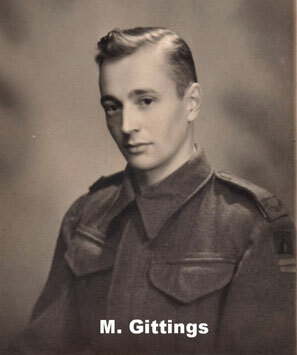 Next of Kin: Son of Frank and Beatrice Mary Gittings, of Walsall, Staffordshire. 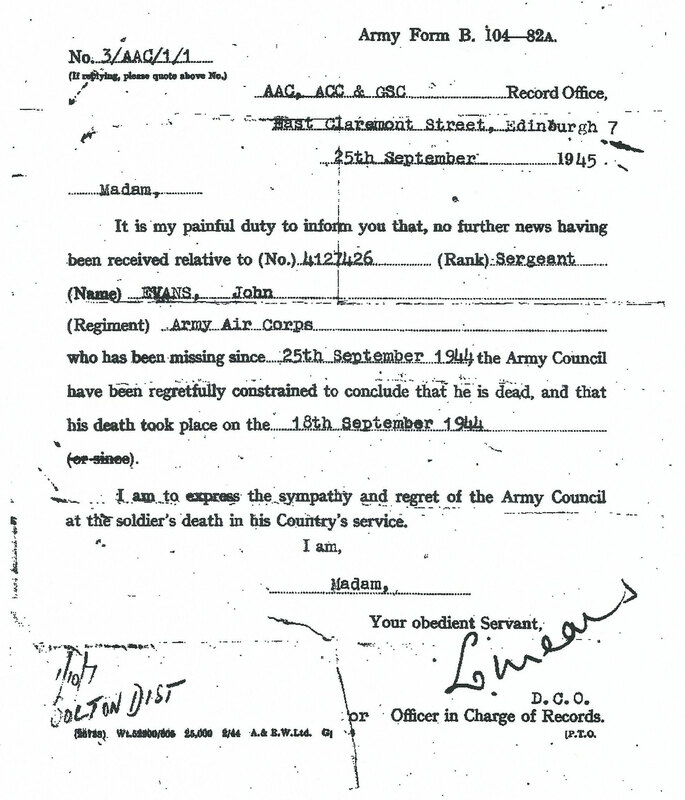 KIA Information: Believed to have been killed during the withdrawal to the Rhine . Next of Kin: Son of Alfred Clyde and Kate Taylor, of Twickenham. 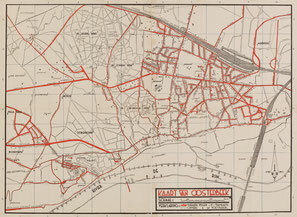 KIA Information: Known to have been killed during the withdrawal to the Rhine .